Are the McDonalds Cockroaches Fatter Than the Ones at Subway? This must have been one of the roaches on a healthy diet. 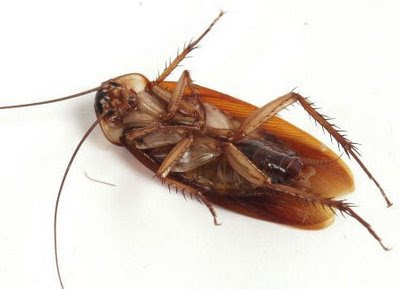 Well, I can’t really tell you about cockroaches at specific fast food joints, but Patricia Moore at the University of Exeter in the UK tells us that a decade of research proves that roaches fed poor diets turn out to be fatties. Exeter is, by the way, The Times Higher University of the Year 2007/2008. Perhaps they actually meant that they stay high most of the time over there if this is the kind of cutting edge research they’re conducting. Moral: Leave junk food out for your roaches and maybe they will get too fat to fit bck through your cracks the next night. I hope you do not notice that big ice charge on your check. It's really not my idea sweetie. Better take your liquor straight up at Morton’s Steakhouse in Midtown. Not only do they charge you around $15 for a cocktail, they’re tagging on $2.50 if you want that on the rocks. Better yet – you may just want to toss back a few before you eat there. They try to explain all that by saying they go heavier on the liquor with a “rock” pour. Good come back I guess, but I’m not buying it. Moral: Ask for a discount if you do belly button shots. After all, you’re saving someone from washing a glass, and time is money too. Plus, you don’t need ice in your belly button. Yes! 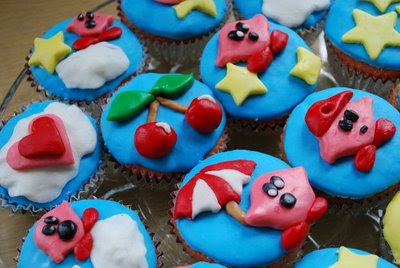 Cupcakes are of the devil, and I am telling God and the police on you for being a junk food junkie pusher. “Happy Birthday to You . . . . la la . . .” But, do not give my kid a cupcake or sprinkles to go on the ice cream. And, send that juice pop home in her Tupperware container provided to bring home the evidence of child abuse at her kids’ school. Never mind that the juice pop will melt (and aren’t juice pops pretty healthy anyway?) Send it home for inspection and proof. MeMe Roth isn’t satisfied with dictating her own kids’ food intake, she thinks she has the right to push her agenda off on everyone else. She even ran off with the sprinkles and sauce for the ice cream at the YMCA in 2007, and the police had to be called. Moral: God is great. God is good. Let us thank him for the ice cream and that MeMe Roth isn’t our mother. Amen. I have an alter-ego called "Chef Bonjour" that I play with my son. All of my recipes include cockroaches, ants and other bugs. All with a terrible French accent of course. I'll have to include some fat, junk-food junky roaches in my next batch of cookies.